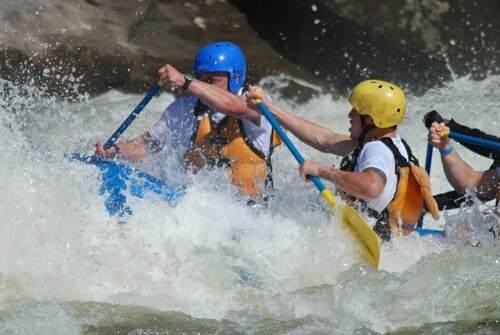 The two-day competition was rugged, to say the least: an 8-kilometer run through the heart of the Appalachian Mountains in West Virginia, a 10-mile bicycle race, a 15-mile forced mountain hike, a 14-mile whitewater raft race on the Gauley River and a 7-mile kayak race on the New River. 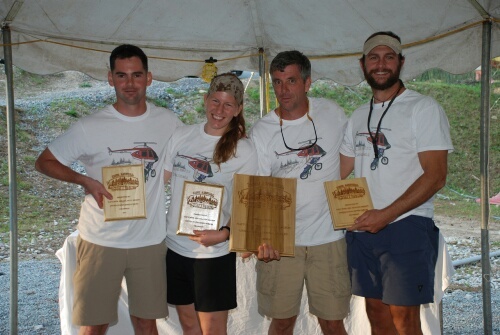 When the dust had settled Oct. 8 on the 2011 All-Military Wilderness Challenge, the four-member team from Helicopter Training Squadron 18, Whiting Field, Fla., had come out on top, finishing in 7 hours, 30 minutes, 47 seconds. Team “Motor City Racing” from Coast Guard Medical Clinic, Detroit, came in second with a time of 7:34:08. Third was Team “Paradoxical Trinity” from Marine Corps Base Quantico, Va., which finished with a time of 7:40:17. More than 100 Navy, Army, Air Force, Marines and Coast Guard personnel spent Oct. 6-7 competing in the annual event, sponsored by the Navy Region Mid-Atlantic Morale, Welfare and Recreation Department, Naval Weapons Station Yorktown and ACE Adventure Resort, West Virginia’s largest outdoor outfitter. Teams must be composed of four active-duty service members, and one must be a woman.